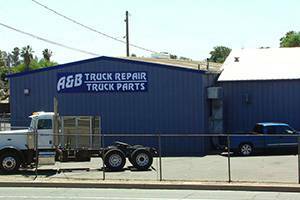 At A & B Truck Repair, our focus is on our commitment to providing exceptional truck parts and repairs at reasonable rates to our valued customers for diesel trucks in Modesto. Our state-of-the-art shop is ready to serve all your diesel truck repair and maintenance needs in Modesto. We look forward to the opportunity of earning your business and showing you why we are the best diesel truck repair shop serving the Modesto area!